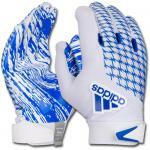 Like most of the equipment used in football today, football gloves have become a must have item no matter what position you play. 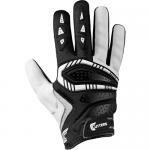 This category, which originated with the tactified Neuman gloves many years ago, now is comprised of a variety of position specific models. 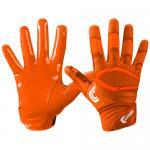 Running backs, wide receivers and defensive backs wear lightweight but durable sticky receiver gloves which enable these players to catch or intercept quarterback bullets in all climate conditions. 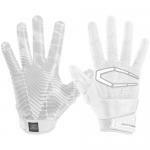 Fullbacks and linebackers wear more of a hybrid glove which combines the tackiness of the palm with protective padding on the top of the hand to aid in the handling of the pigskin and to protect the hands from hits delivered or blocked. 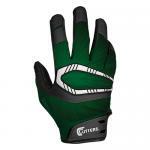 Linemen wear heavier, but still flexible gloves to aid in the hand to hand combat which typifies work in the trenches. 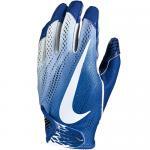 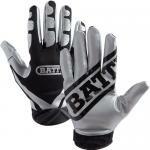 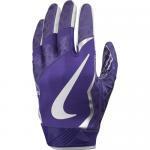 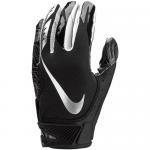 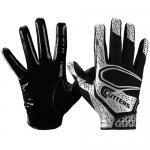 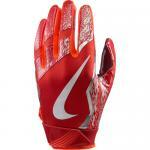 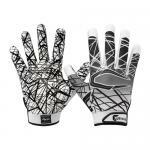 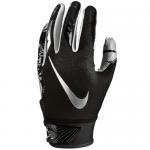 We carry a broad selection of youth and adult football gloves in all these types of gloves in a variety of colors from companies such as Nike, Under Armour, Cutters and Battle, as well as the old favorite, Neuman. 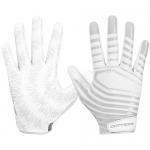 So whether you are making one-handed highlight reel catches or digging your knuckles into the frozen tundra on the line, we have what you need.